Arts charity People United has published a new report using evidence analysed by psychologists at the University showing that an effective way to encourage kind thoughts, feelings and actions is by enabling people to participate in arts experiences. 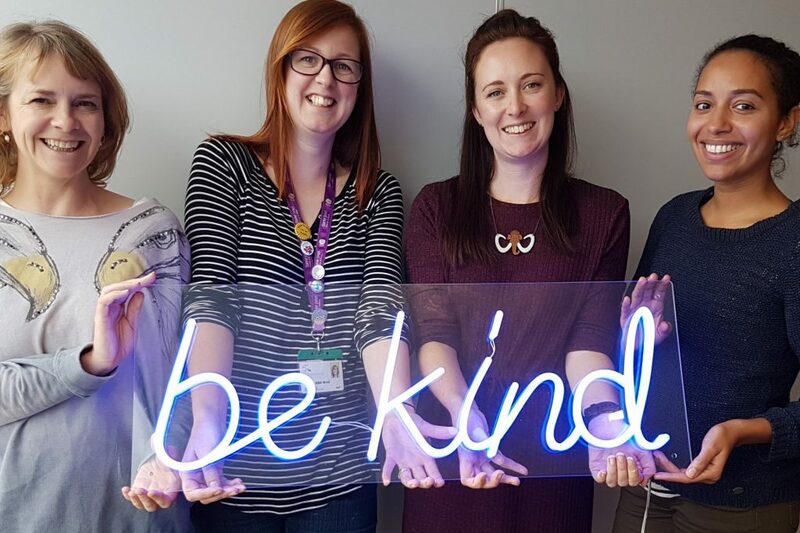 People United will launch a ‘be kind’ campaign focusing on World Kindness Day on Monday 13 November. The charity says this will be a ‘call to action for everyone who feels that the world needs a bit more kindness’. It aims to create a ‘be kind’ revolution with ’be kind’ signs popping up across the UK. Their report, entitled Changing the World through Arts and Kindness, draws together ten years of quantitative evidence about the impact of People United’s projects, collated and analysed by academics at Kent’s School of Psychology. To read the full story, please go to the Kent News Centre.